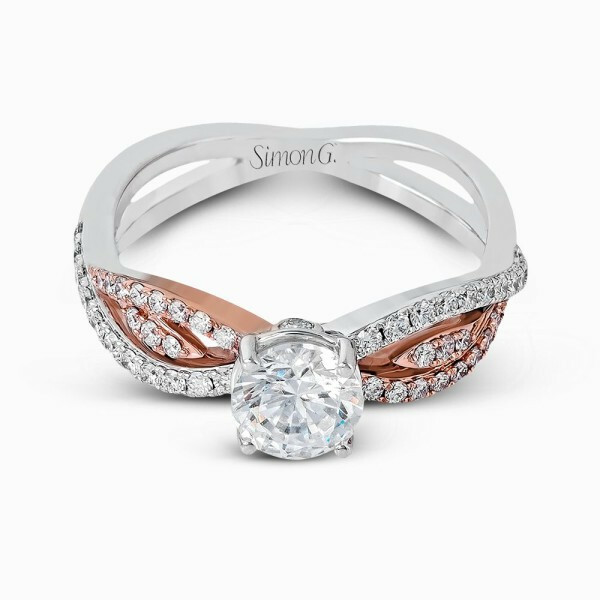 This engagement setting from Simon G. is from the designer's Fabled collection. 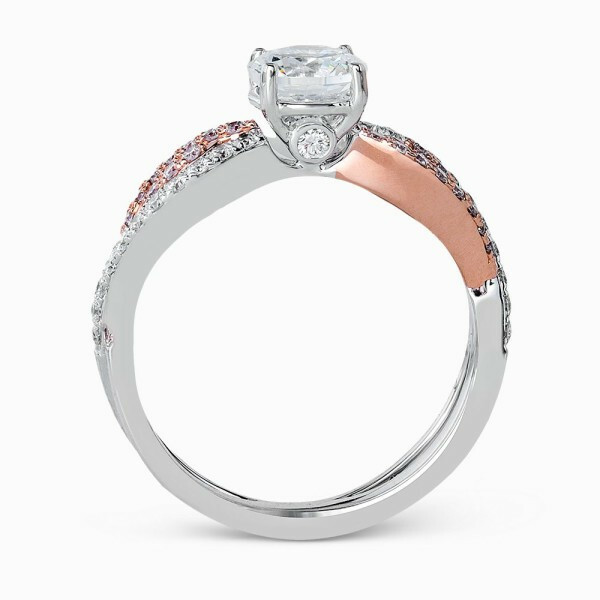 The standout design starts with a swirling band, with diamonds set in 18kt white and rose gold. There's a leaf motif in the space provided by the criss-crossing bands. 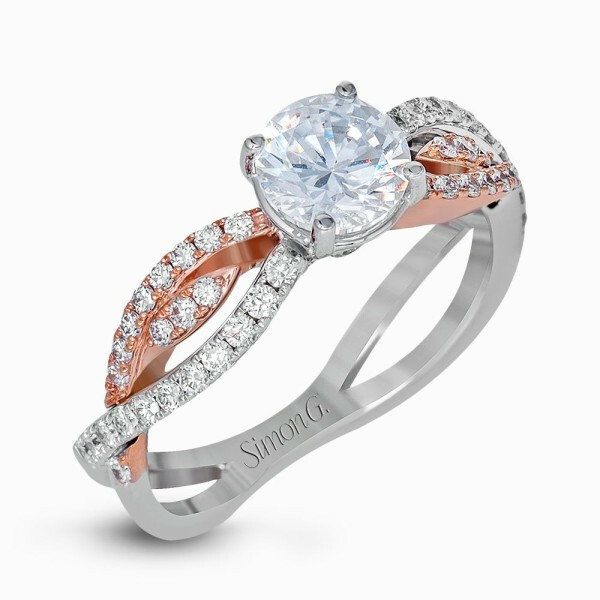 The mounting has four white gold prongs awaiting your center stone. This Simon G. engagement mounting has a bit of an air of the great outdoors, bringing to mind tales that take place amidst the backdrop of a forest.